The global solar tracker market is expected to gain traction due to increased adoption of solar panels and demand of renewable energy sources. Solar tracker is a device used to follow the movement of the sun’s rotation from the east to the west on a daily basis. The trackers keep the orientation of solar panels directly towards the direction of the sun to increase the energy output. Solar trackers alter their orientation throughout the day in accordance to the sun’s path to maximize energy capture. These trackers enable photovoltaic systems to minimize the angle of incidence between the incoming light and the panel to improve the amount of energy produced. Solar trackers increase the amount of solar energy received by the solar panels, thereby enhancing the energy output. Use of solar trackers improves the output of solar panels by 20-30%. Solar trackers are primarily used for ground-mounted solar panels and large, free-standing solar installations. The different types of solar trackers include single-axis tracker, and dual-axis tracker. A single-axis tracker traverses on one axis of movement and is generally aligned with north and south. A dual-axis tracker enables panels to move on two axes, aligned both north-south and an east-west. This tracker maximizes solar energy collection throughout the year. The growing demand for renewable energy sources, and increasing awareness regarding the use of clean energy is expected to drive the market. Governments across the globe are investing significantly towards the development of renewable sources such as solar energy. Governments also offer incentives and schemes for construction of buildings integrated with solar technologies. Other factors driving the growth of this market include less maintenance and low operating costs. Technological advancements, and growing demand from emerging economies is expected to accelerate the adoption of solar trackers worldwide. However, high initial cost hampers the growth of the global market. 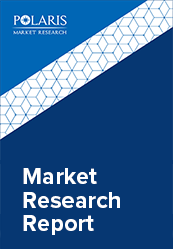 The global Solar Tracker market is segmented on the basis of type, application, and geography. Geographically, the global Solar Tracker market is categorized into North America, Europe, Asia Pacific, Latin America, and Middle East & Africa. On the basis of geography, Europe is expected to dominate the global market over forecast period. The dominance of Europe in the global solar tracker market is owing to growing initiatives by governments, and rising awareness regarding use of renewable energy sources. The increasing demand for solar trackers from countries such as UK, Germany, and France supports market growth in the region. Presence of leading players in the region, along with increasing use of solar panels in commercial sector would support market growth during the forecast period. Powerway Renewable Energy Co., Ltd.